An Uzbek shop and restaurant will be opened in Budapest, and a shop and restaurant with Hungarian cuisine and goods will be opened in Tashkent, Podrobno.uz reported. "In May of this year, a Protocol of intent to open a restaurant of Uzbek national cuisine and Uzbek goods store in Budapest, as well as a restaurant of Hungarian national cuisine and Hungarian goods store in Tashkent was signed between the Administration of Tashkent city and the Municipality of Budapest city," the press service of Tashkent administration said in a statement. 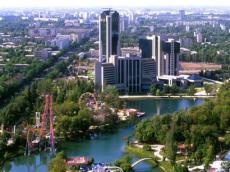 The talks with Ambassador of Hungary Peter Santo and Director of the Chamber of Commerce and Industry of Budapest city Yojef Kovac have been held in the Administration of Tashkent city in order to coordinate the issues of implementation of this project. The parties discussed the details of the opening of shops and restaurants, and noted that there is a huge potential for expanding mutually beneficial cooperation between the two countries.